At Orion, we use Riskalyze, an award-winning risk assessment technology, to mathematically pinpoint your acceptable level of investment risk. Using a short questionnaire, we objectively quantify your comfortable risk/reward trade-off to produce a Risk Number. Your Risk Number® is a number between 1 and 100, with 1 being the most conservative and 100 being the most aggressive. Once we know your Risk Number®, we can then build a portfolio that aligns with your personal investing needs and goals, allowing you to feel comfortable with the peaks and valleys that are inevitable with investing. Riskalyze technology also allows us to create a visual and interactive path to your retirement so we can chart the best path to help you reach your retirement goals. Watch this 90 second video to learn more about Riskalyze. First you take a 5 minute quiz that asks you about your top financial goals, portfolio size, and asks you to trade off risks against potential gains. This process produces your Risk Number®. If you are ready to find our Risk Number®, click on the below link to take the first step by answering a 5-minute questionnaire. 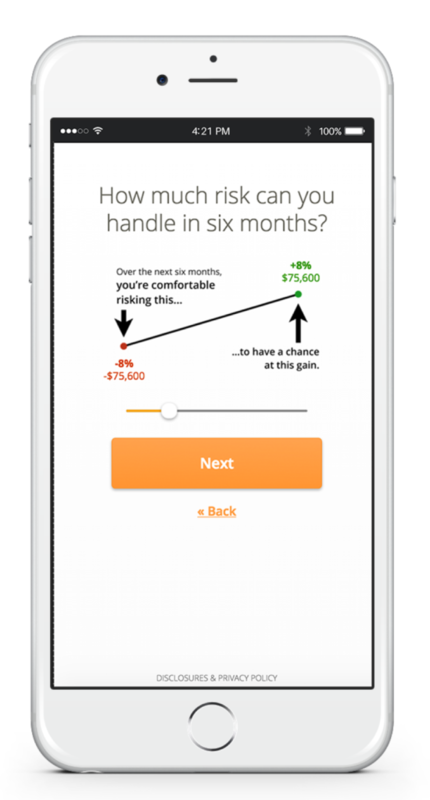 If you would like more details on how Riskalyze works, read on. 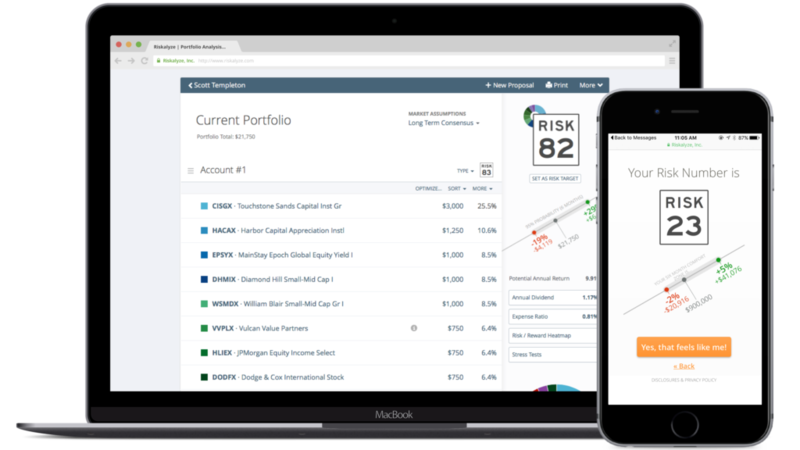 With Riskalyze technology we can input your current investments and compare your portfolio risk to your Risk Number®. Approximately 80% of investors have more risk in their portfolio than they realize. By comparing your Risk Number® to the Risk Number® of your current portfolio, we can build a portfolio that matches your personal investing comfort level and goals. With Riskalyze technology, we can also stress test the portfolio under different scenarios, discuss your 95% probability range and set expectations for how the portfolio may perform. 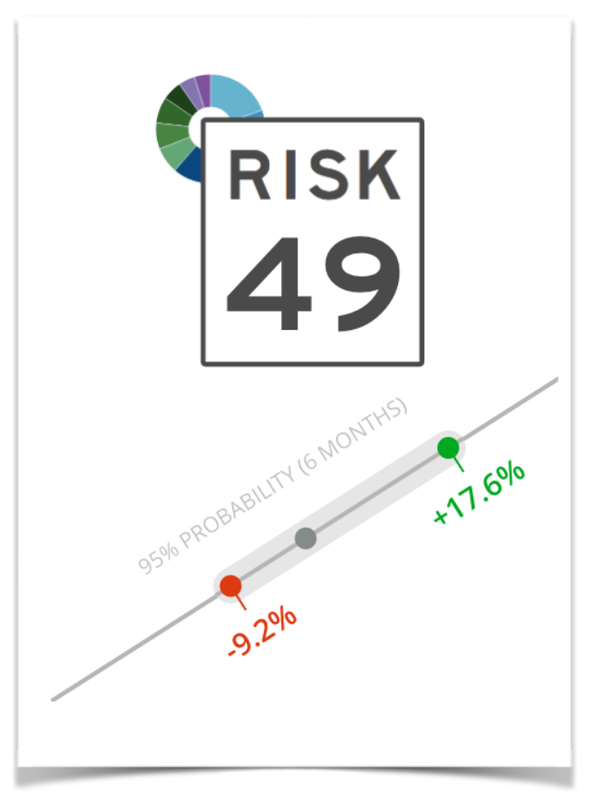 Riskalyze tools also include a Retirement Map that can chart your path to retirement. 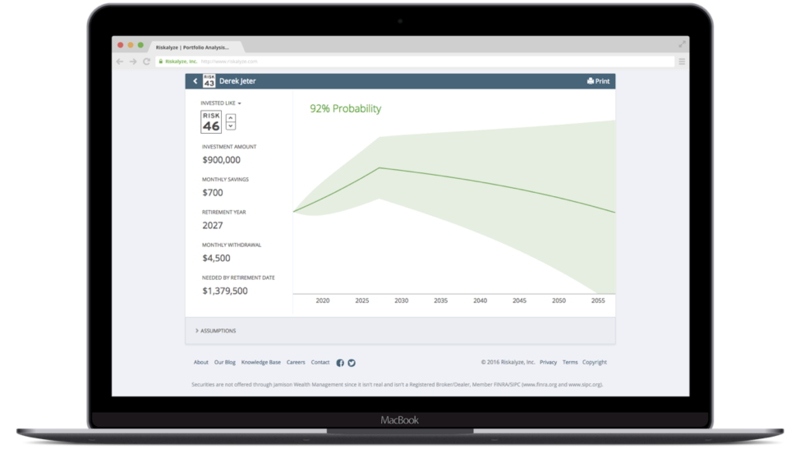 This interactive tool allows us to make adjustments and visualize the long term implications so that together we can create the path with the highest probability of a financially successful retirement for you. So, what's your Risk Number®? Take 5 minutes to complete this short questionnaire and find out.